Last week saw another major Nintendo release hit store shelves, with the world's most famous moustachioed plumber taking part in his latest, crazy and colourful Super Mario Party. The game has made its debut in the UK charts in fifth position. Considering the competition, this is a pleasingly strong result for Mario and the gang; this week saw both Assassin's Creed Odyssey and Forza Horizon 4 drift onto the scene, with other recent best-selling games still riding high from their relatively new statuses, too. 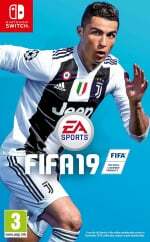 As one might expect, FIFA 19 continues to dominate the charts, no doubt grabbing the attention of the country's Premier League-loving supporters. Did you buy any of these chart-topping games this week? 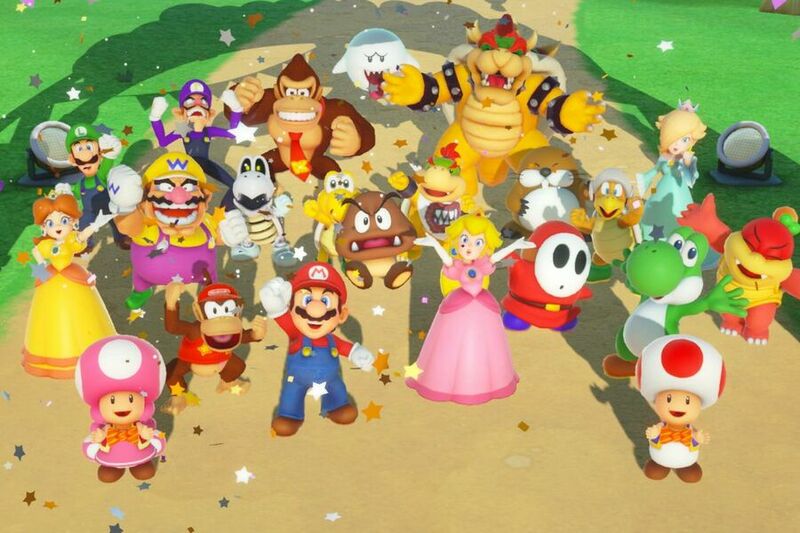 Did your weekend feature a Mario Party or two? Let us know down below. 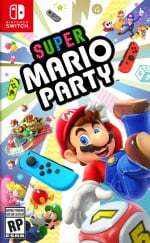 Would love to see some official sales numbers for Super Mario Party. Game is great so far, hope it spawns 2-3 sequels on the Switch. Considering how many different versions of Spider-Man there are (the whole arc of Spider-Verse is dumber even than the Clone Saga), Sony could be rolling as many Spider-Man games as there are Assassin Creed ones. I would totally jump at a Supaidaman game. Here in Indonesia, there are some Meme about Spiderman such as Spidolman or SapiDarman (Darman's cow). I'm curious about the numbers for Mega Man 11 in the UK since it was digital-only there. Also, I'm shocked to see that Spider-Man beat the debut for Super Mario Party. I don't suspect it will spend much time in the top 10. After playing Super Mario Party I feel somewhat disappointed. After a superfluous cutscene trying to give the party / mini games some context, you then have to move around a lobby to select the game mode you want - you're given a quick access menu, but you can't use it until you have actually been to the corresponding mode in the lobby. After all the unnecessary faffing around we played the main mode and we were completely underwhelmed - the mini games were all mediocre at best and lacked variety to even Mario Party 10 on the Wii U. Each game board was a matter of who stayed ahead of all the other players, so basically who ever rolled the highest number on the die would be able to get to the next star; 9 times out 10 the next star would be positioned 15-20 places ahead of the previous one & didn't give anyone else behind a chance. I know the previous title got a lot of stick for its mechanics, but the family and I really enjoyed our time with it. Hope other people have had a better experience than we did. I really doubt Super Mario Party will last long in the top 10, massive wave of huge 3rd party games not coming to Switch inbound. @sikthvash I disagree with literally your entire post. The little hubworld/lobby actually gives the game a lot of charm. The mini-games have been the most creative and fun since the GameCube iterations and this is factually the most strategic Mario Party game ever, because of the different diceblocks attached to each character and partner buddies. So far it’s up there with the best Mario Party games imo. I also love how the bonus stars are different everytime. Lasting or not in the UK charts it is awesome that Mario Party has managed to reach the 5th space. @Alucard83 not just any plain soccer game but a plain soccer game made by EA! Speaking of Super Mario Party, any word on DLC? 4 party boards seems too few for a Mario Party game. The game isn't fun alone at all... Lack of online multiplayer will badly effect the sale of this game, i honestly cannot see this game doing good numbers. @NewAdvent To be honest the lack of online multiplayer will make sure that never happens. @Razer in YOUR opinion. I have an opinion too..and think it's great. I have laughed so much playing with family and also found solo mode very challenging. It's great. @Yasume Glad you're enjoying it ^_^ maybe it will grow on me, and of course I haven't tried every single mini game as of yet. Maybe I'm suffering from being a miserable sod haha! I was bored by the likes of pumping up a balloon, selecting some fruit that matched a pattern, walking along a narrow path in a walking relay type fasion and avoiding a chain chomp in an arena amongst others which just weren't memorable. I also thought the lobby & stuff gets in the way of quick access to gameplay. Sure, it has charm but we spent some time looking around at the begining and there was nothing in Toads Rec Room to do & the sticker room was also pointless and boring. @Toads-Friend That is indeed very true... You have your opinion. The multiplayer is fun but im 90% handheld and 10% TV... The game is impossible to play in table top mode in a group around some tiny screen. Cannot be played in portable mode. @sikthvash bro don't worry... It's not just you, i love Ninty games but this one ticks no boxes at all for me. @RadioHedgeFund Is Nintendo going to provide these numbers in the new year? @Starvald Nintendo are sadly not committed to providing that data, although that may change once their games start debuting in the high 20’s once download-only titles are taken into account. So is Forza getting that high up despite being on Game Pass. It is brilliant though. @sikthvash You may have had a few bad runs, but I have experienced the star moving behinds us as well, it get's re positioned at random when it's moved. In fact my very first game had the exact opposite outcome, the person rolling the worst won because it first moved close to the start, then moved to a position where the easiest path was a branch from the start so he got to to faster than those of us that had to come back and he picked up an extra start card along the way on top of the fact that the stars had doubled by this point so he got three that time for a total of 4. Really, anyone can win because the stakes can change at any time. I have however gotten a ton of enjoyment out of the partner battle, where you go through in teams of two and you share dice rolls. The strategy in that mode can get pretty deep at times, especially since you have to actually land on the spaces not just past them. I still wonder why FIFA remains so popular. Do people really want the most up-to-date cast this much that they purchase the new full-priced FIFA every year? I don't really understand. @Yosher The vast majority of FIFA buyers here in the UK are first and foremost football fans. Buying the latest edition keeps them in the conversation and also something to play between attending the actual matches in season. I understand how non-football fans could care less (me being one of them). @Destron Cool, well hopefully subsequent play thoughs will fair better ^_^ We enjoyed the co-op raft games. Hoping some of the other paths will have some diffent obstacles / enemies to avoid, but generally the co-op games we played were good fun. @Yosher same could be said of most every Madden, NBA2K, MLB, and Call of Duty game for the past decade. Change some names and stats. Make graphics 2% better. Profit. Full disclosure of bias my last sports game was NFL Blitz for N64 (I also don't follow sports) and last CoD I enjoyed was Black Ops 1. @Yosher for most sports fans it is very important to to them to have the most up to date rosters, people on correct teams, any rule changes etc. just like for fans of anything else it’s important for it to be right. I'll buy Forza on PC at some point. The PC Demo is amazing. TR and AC:O are on my back list. It is just an avalanche of AAA games right now. @Grumblevolcano Nevermind inbound, even as things stand 7 of the top 10 games in this week's chart aren't on Switch. These charts are meant to be the Top 40, yet this site only posts the top 10 and only one of the charts. Sites like NintendoEverything put NL to shame every week. You give no explanation either why some of the games are bolded. Like others have said there's no way Mario Party will be in the top 10 next week. Sales are heavily front-loaded, it'll likely be gone altogether from the charts in a couple more weeks. Assassin's Creed Odyssey is the worst-selling mainline entry in the series, even when taking healthy digital sales into account. Ubisoft needs to stop burdening an otherwise great game with annualization and microtransactions. Same old boring FIFA at no.1... Should be an exciting fresh new franchise like Mario Party! @Slasher That's not saying much. Mario Party 10 sold a minimum of 10,000 copies at launch, which means Super Mario Party sold at least 17,000 copies at launch. Does it matter that super Mario party will or will not stay in the top 10 next week that important in one European country that barely supports Nintendo? @ekwcll The support for Nintendo in the UK is much stronger than the so called Xbox "support" in Japan. COD BOIII had the worst retail sales launch for a Call of Duty game since COD4. Granted, digital sales were nonexistent in 2007 while they are quite significant in 2018. Last year, digital sales accounted for 22.8% of COD WWII's UK sales. Assuming that digital sales will now account for 35% of COD BOIIII's UK sales, it seems like the game will still sell 40% less than last year's entry in the UK by the year's end. Pretty poor start to the holiday season TBH. Only Red Dead Redemption 2 and Smash Bros Ultimate have the potential to be the big sales surprises for the rest of the year.